No Expert Witness? No DUI Charges! Prosecutors typically have no qualms about bringing charges against someone who’s operating a motor vehicle after drinking to excess. They rely on breathalyzer results to help them get convictions for DUI in Los Angeles and other California locales. If the BAC measures above .08 percent, prosecutors feel they have a good case. But what if prosecutors have no good way to quantify just how impaired a driver is? That can occur when police pick up someone for a DUI charge that’s related to something besides alcohol. One California cop found that worked to his advantage in beating a DUI arrest. 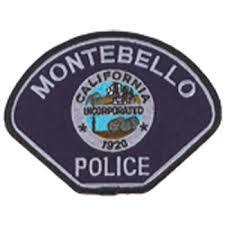 The San Gabriel Valley Tribune reported that sheriff’s deputies charged Montebello Police Sergeant Christopher Cervantes with DUI after he rammed his car into a tree in May. Cervantes claimed he had lost control of the vehicle when trying to avoid hitting another car. But the deputies said he appeared to be under the influence of a drug, and they arrested him. A blood test revealed that Cervantes had a drug in his system that included codeine and morphine—a drug his doctor had prescribed. But the fact that he had a prescription would not normally get Cervantes off the DUI charge. But on his scheduled arraignment day, Cervantes got a welcome surprise. Prosecutors said that field sobriety tests weren’t enough to gain a conviction against him. They admitted that they had no expert witnesses who could testify Cervantes had enough of the prescription drug in his bloodstream to leave him impaired. So the prosecutors declined to bring DUI charges against Cervantes due to insufficient evidence.